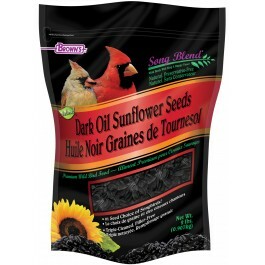 Brown’s® premium Dark Oil Sunflower Seeds are irresistible to almost any bird. 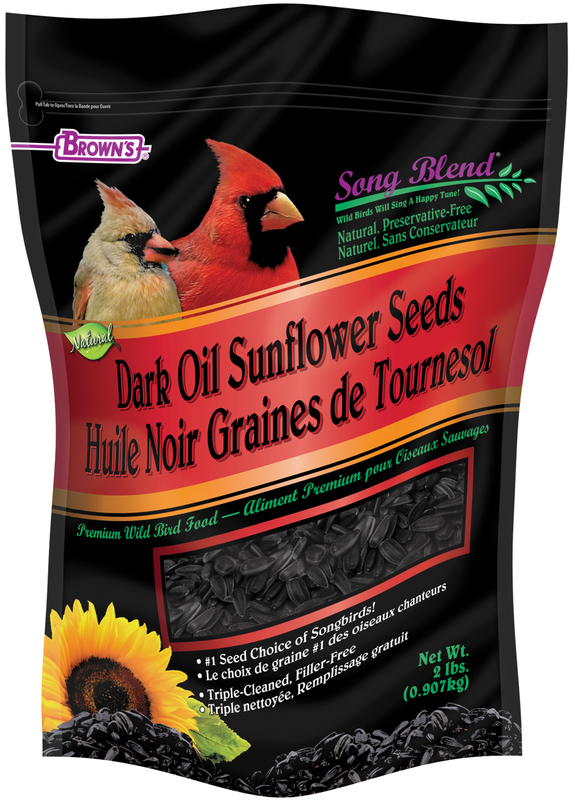 Cardinals, chickadees, finches, grosbeaks, jays, nuthatches, titmice, woodpeckers, and other birds with stout beaks simply love these seeds! 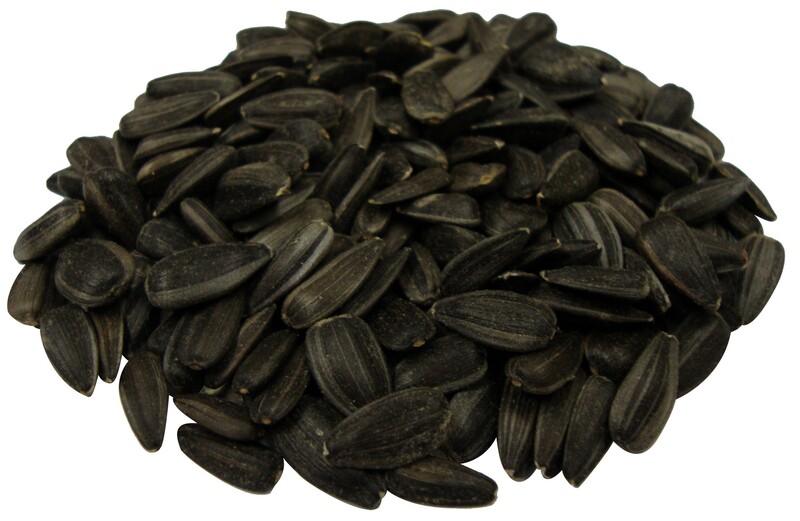 Dark Oil Sunflower Seeds are high in fat (30%) and protein (16%). They’re extremely delectable and provide maximum nutritional value. 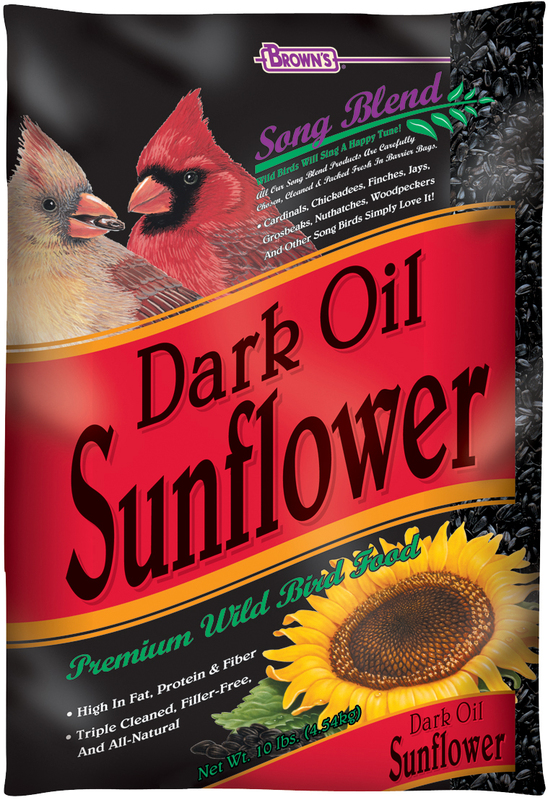 Our triple-cleaning process removes the dust and debris before packaging so you’ll offer a clean, healthy, natural food to the wild birds. Brown’s® Song Blend® is more economical, too. There are no fillers, so there is less outdoor cleanup and more edible feed per pound. • Triple Cleaned, Filler Free and All Natural! • The #1 Seed Choice of Birds and Birders Alike! 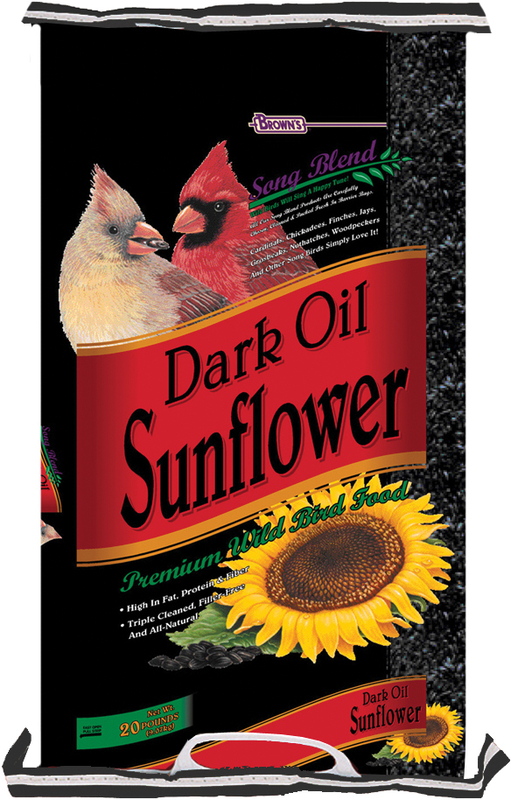 • Cardinals, Chickadees, Finches, Jays, Grosbeaks, Nuthatches, Woodpeckers, and Other Songbirds Simply Love Dark Oil Sunflower Seeds!